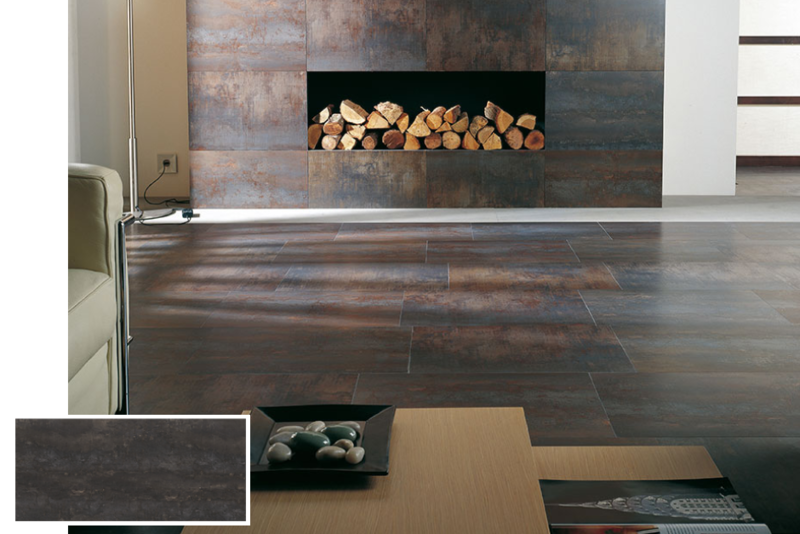 Refurbishing or creating a fireplace has become easier than ever and a requested must-have during home renovations! 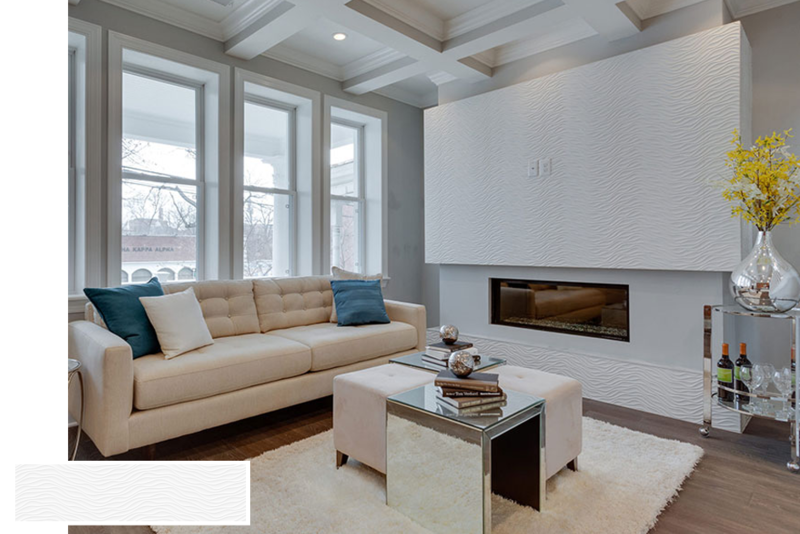 Homeowners and designers alike find that something as simple as an updated fireplace creates a unique focal point in the room geared towards their own personal design flair while adding value to a property. The options are truly limitless with styles ranging from the most traditional brick or marble, to an ultra-modern glass mosaic, and everything in between; allowing you to create a truly unique space for you and your family. 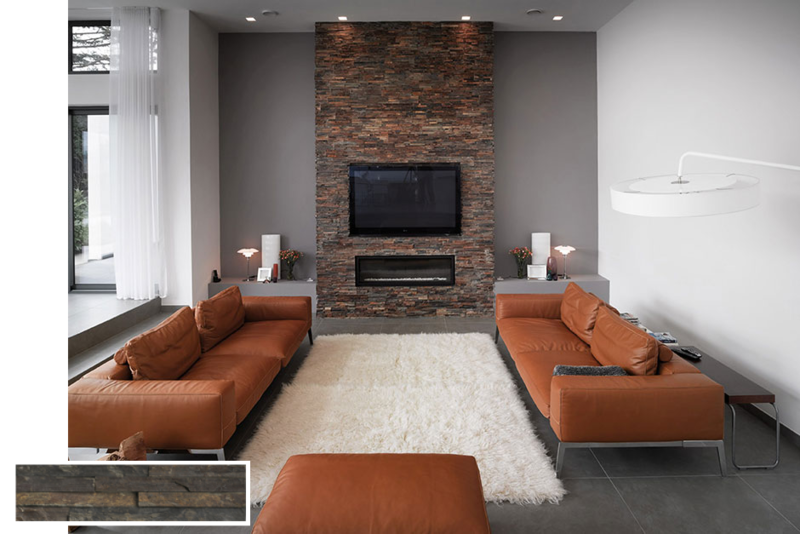 For those looking to refurbish their fireplace but keep it as traditional as possible, seeking a brick look is the best option. Usually mesh backed, they are easy to install and are the most popular. Another traditional option is to use marble, or more affordable, a marble looking tile. The larger format makes for a faster install and offers a slightly more upscale look. For homes looking to create a rustic feeling fireplace, a wood surround does this easily. 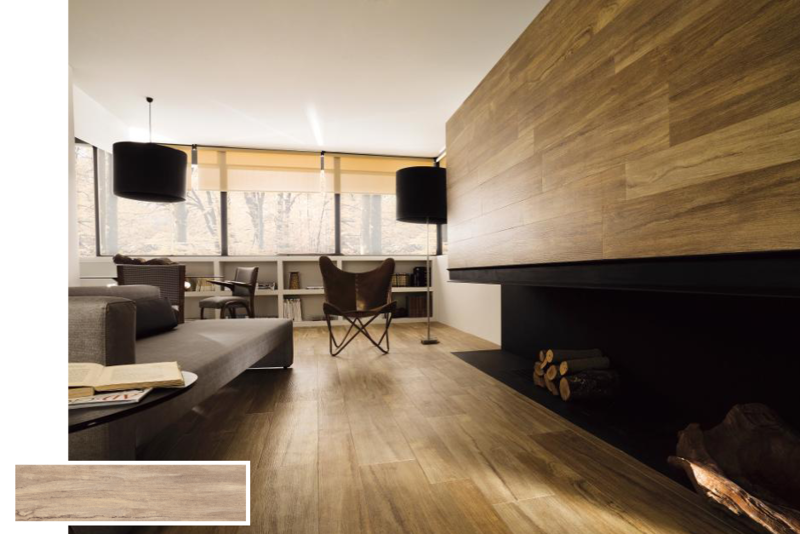 Porcelanosa’s Par-ker, a porcelain tile with a natural wood look makes an excellent choice due to its easy installation and maintenance; not to mention its superior durability. Are you searching for something a bit more glamorous? Why not add a bit of color with a mosaic? Choosing a glass mosaic not only looks beautiful and modern but also gives an amazing light refraction helping to make smaller spaces look larger. 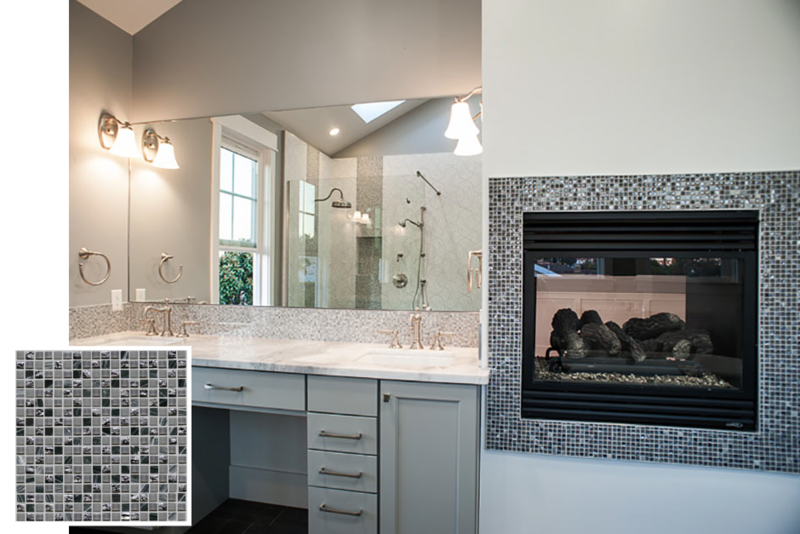 For a mix of traditional and modern, go for a mosaic that has mixed finishes such as a natural stone and a glass tile for the best of both worlds. Truly make the space your own by going for something completely unique such as a tile with unique pattern or print on it. By doing this, you transform your fireplace into a functional art piece as the focal point of the room.